*1.5cm of fresh snow has fallen in the last 24hrs in Hirafu Village. At 7:00 today the temperature was 1°C. Overcast windy conditions with light snowfall in Hirafu which is expected to continue though out the day with moderate snowfall predicted tonight. It is interesting to look back at our report from the 27th of November last year for some perspective. 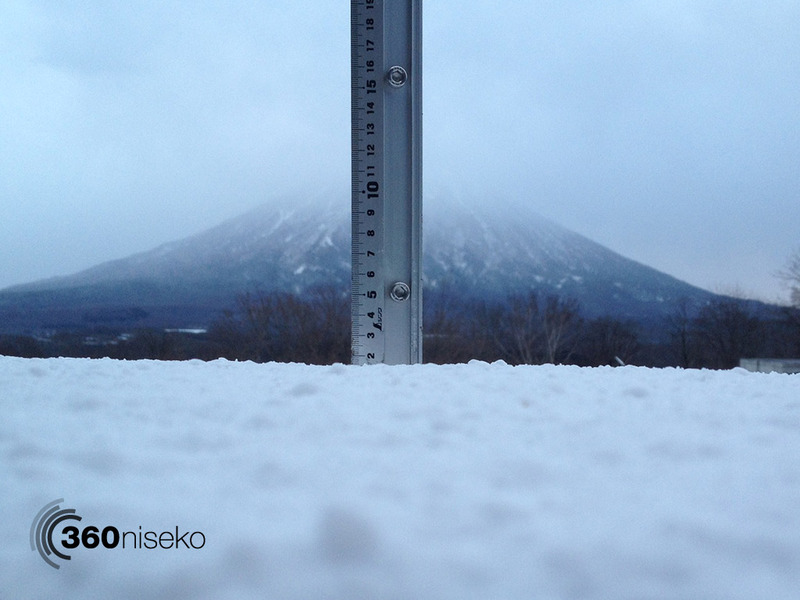 When will the first BIG dump to hit Niseko for the 2013-2014 season? wow, seeing the dump that happened this time last year makes this years snowfall depressing. 🙁 Fingers crossed for another awesome season. Hi Zac….you are right there but things can change very quickly in Niseko! Thanks for following.